Steel pipes can be used for the vast array of purposes. They can be used in everything from refrigerators to building construction. There are different types of pipes, as well as different ways to make them. Some pipes producing processes via heating the steel strip until it becomes malleable, so that its edges can be folded together creating the tube. Other processes involve stretching the steel plate to form the tube. Basically, those processes were originally designed in the early 1800’s. While the process of pipes manufacturing largely remains the same, certain things, like the origin of heat that is used for shaping the steel. Needless to say that less and less manufacturers use furnaces to make the steel malleable. Nowadays the most common welding method is electric resistance welding. 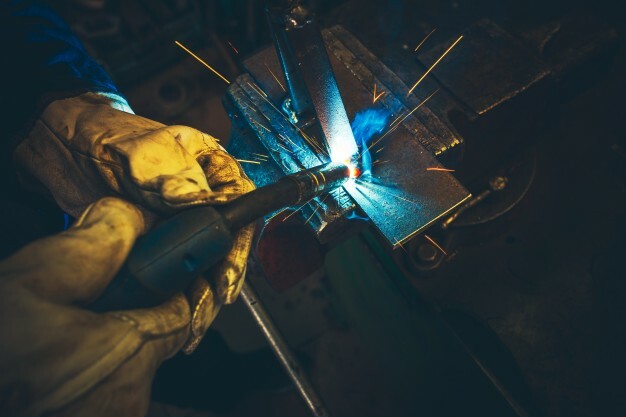 In a nutshell, this method is called so, as it uses heat that is generated via electrical resistance of material combined with the time and the force used to hold the materials together during welding. This is one of the most common methods for manufacturing electric resistance welding pipe, herein after ERW pipe. ERW pipes are used for the variety of purposes like fencing and scaffolding. How Electric Resistance Welding Pipe is Manufactured? ERW pipe is manufactured by rolling steel. Then welding it across its length. ERW pipe have a welded joint in its cross-section, while seamless pipe does not have any joint in its cross-section throughout its length. ERW pipes are made from either steel strip or coil. Their common size can range from 2 to 24 inches of Optical Density. They are produced in variety of lengths from one to one hundred feet. ERW surfaces can be bare or coated. There are two main types of electric resistance welding, the high frequency induction welding and the high frequency contact welding. What’s the difference between those types? Let’s figure it out. In this process the weld current is transferred to the material through a work coil in front of the welding point. The main advantage of this process is that the current is induced into the pipe material via magnetic fields surrounding the latter. The work coil is not contacting the pipe, thus the contact marks are eliminated. This method is perfect when you need to change the size of the pipe without leaving any marks. In this process the welding current is induced to the material through the contacts that runs on the strip. The pipe is affected by the welding power directly, which makes this process more efficient. This method is perfect for working with pipes of large diameter. It is quite often applied for manufacturing pipes with high wall thickness. Also Read - 6 essential Whatsapp tricks which will make you trendsetter!